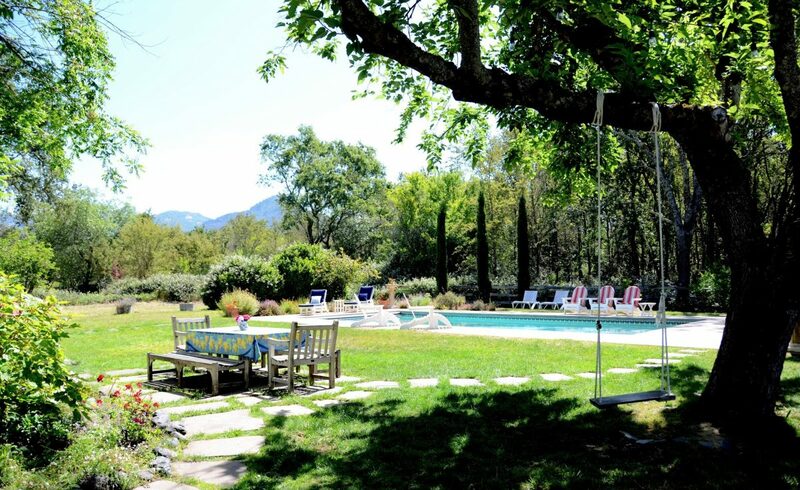 Come to Brambleberry, a unique luxury vacation rental in historic Kenwood, the quintessential wine country village in the heart of Sonoma Valley and neighboring Napa Valley. Among the most beautiful places in Northern California’ s wine country, Kenwood boasts premium vineyards and award-winning wineries. Luxuriate in a private 3-½ acre gated wine country view estate with superbly remodeled 3+-bedroom farmhouse, designer kitchen, wraparound veranda, pool, spa and outdoor shower on park-like grounds bordered by blackberry bramble. Pick your own fruit and berries at this timeless Sonoma Valley paradise. Enjoy a wonderful alternative to a Sonoma or Napa hotel or inn. Handicapped accessible.